Kate Middleton’s Comfy New Balance Sneakers Are Seriously Discounted Right Now - Integration Through Media ....! Kate Middleton may have a closet full of Jimmy Choo pumps and L.K. Bennett booties, but when it comes to participating in activities during her royal outings, she needs something a little more casual. 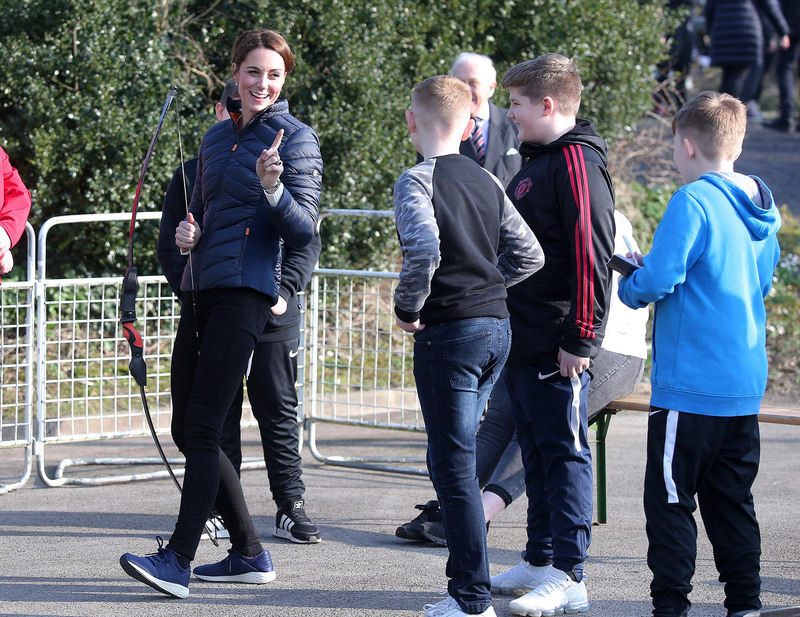 She recently traded her heeled booties for a pair of navy New Balance Fresh Foam Cruz sneakers during her visit to Windsor Park Stadium in Belfast with Prince William. And wouldn’t you know it, the sneakers are super affordable, ringing in at just under $100. But, even better is that we found them on major sale right now at Zappos. Normally, the shoes retail for $90, but for a limited time, you can snag them for 25 percent off! Yes, we’re serious. The sneakers are designed with fresh foam-engineered cushioning that lets you run freely without sacrificing a soft landing (exactly what Kate needed to play soccer with young girls). The stretch heel makes these lightweight sneakers easy to slip on and run out the door. And with royalty backing them, we have to believe they’re insanely comfortable, especially considering Kate walked around in them all day. Let the Kate effect commence — hurry and snag yourself a pair of her newest kicks while you can get them this cheap!